Hiring an HVAC contractor for your home to keep it comfortable is something that you will need to do from time to time. Most Americans spend about 93% of their lives indoors so making sure you are comfortable is important. Making sure you hire the right contractor for your unit is important after all, making sure the system is running at peak performance quickly and lasting a long time is important. 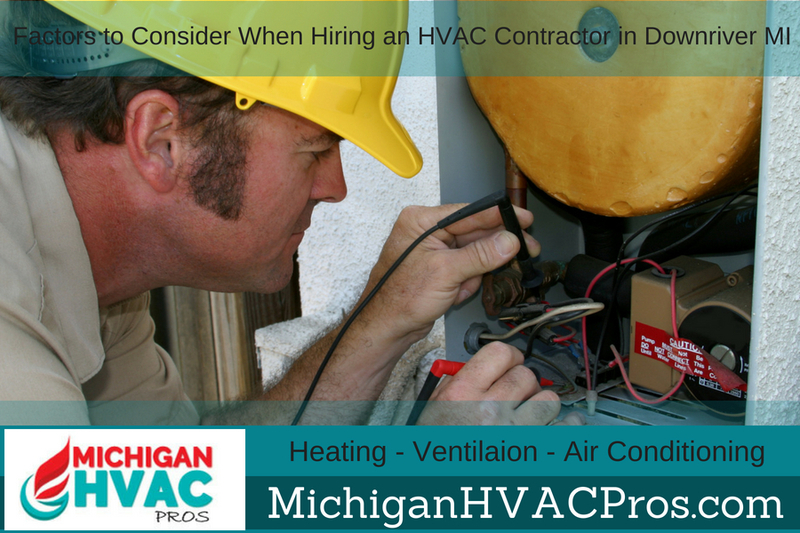 Below are some factors that you should consider before you hire a HVAC contractor in Downriver Michigan. Many times the HVAC system in our homes will never be considered until there is some type of problem with it. 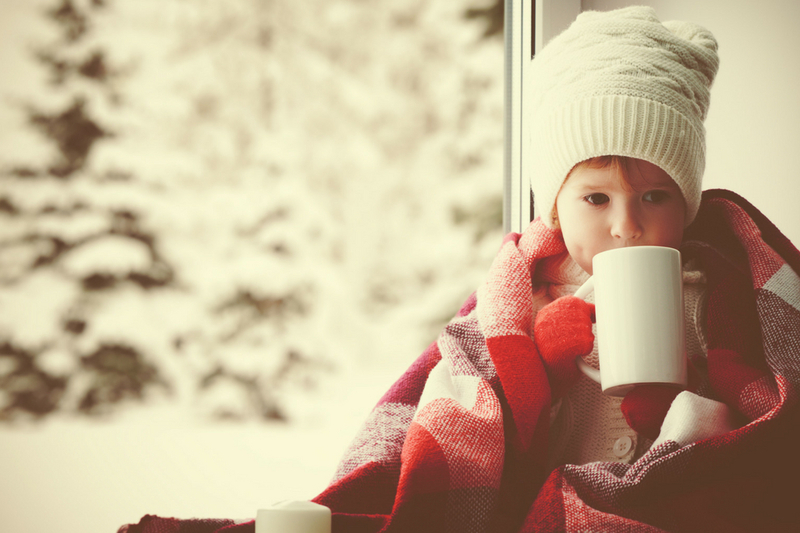 Whether it’s too hot in the home when you come home from work or you wake up during a cold winter night to freezing temperatures, chances are you never think about the HVAC system. But once it stops working it can turn your home into what feels like an inhabitable planet. Getting an HVAC contractor in Downriver Michigan to come out an make repairs to your HVAC system or to install a new HVAC system in Downriver Michigan means you’ll need to consider some things. I’ll listed some of the biggest factors that you should consider when hiring an HVAC contractor for your home. It’s always best to ask the HVAC contractor in Downriver Michigan if they have experience and specialize in your specific needs. For instance, if you need boiler repair in Michigan do they offer that service. Alternatively, some technicians will only service electrical systems so if you have a natural gas HVAC system you may need to look elsewhere. They may not specialize in that system but they may offer service. However, be aware of the experience in any system they service and make sure they have the proper qualifications. Your HVAC system is not going to stop working at a specific time and chances are that it will stop working at the worst possible time. Having an HVAC contractor in Downriver Michigan that offers service when you need it is important. At Michigan HVAC Pros we offer an emergency service for HVAC systems which is 24 hours per day and 7 days per week. Whatever HVAC contractor you choose make sure they are ready when you need them. One of the biggest factors you should consider when hiring an HVAC contractor is to find out if they are qualified to work on your home’s HVAC system. There are many certifications that are offered in this field. Make sure you have an HVAC contractor who uses qualified technicians to service, repair, and install HVAC systems in your home. By no using properly certified technicians to work on your HVAC system it could void the warranty on the system. Plus, if it’s not installed correctly it can void the warranty even on a new HVAC system. Always use properly certified HVAC contractor and technicians on your home’s HVAC system. A great way to stay ahead of problems with your HVAC system is to have it inspected regularly and properly maintain the unit. Make sure the HVAC contractor that you use has a preventative maintenance program where you can get the unit inspected and address any potential problems that may arise. This can also help to prevent those times when the unit fails completely and leaves you in an uncomfortable situation. Although not a requirement for how well the job is done, it’s always best to choose an HVAC contractor who has professionalism and courtesy. Do the technicians clean up after themselves? Do they dress neatly and have uniforms with certification patches and more? Hiring a contractor who is professional means you’ll be dealing with someone who wants you, the customer to feel at ease with the job they do and put their best foot forward. Is your HVAC system starting to fail or you are considering installing a new HVAC system in your Downriver Michigan home? Be sure to contact Michigan HVAC Pros today for more information.